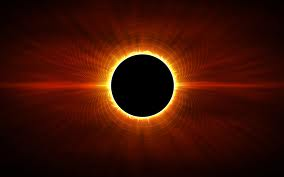 If you have been living in the dark, you may not have heard that there is a total solar eclipse crossing the nation on August 21st. A partial eclipse will be viewable to everyone in the country, but the full eclipse, where the moon blocks the sun completely, can only be viewed along the path of totality, which happens to cross right over Lake Hartwell. All of Lake Hartwell is in this path, but the closer you are to the center of the path, the longer the total eclipse will last, with a maximum of 2 minutes and 40 seconds. The path is very narrow so a total eclipse will not be viewable from Atlanta. Most of the lake is in the southwestern section of the path, so locations to the northwest including Clemson, Seneca and Anderson (Six and Twenty Creek) will have the longest total eclipse. During the total eclipse, you can see the sun's atmosphere, the corona. The total eclipse will begin about 2:30 in GA and SC. Please make sure to follow all safety precautions while viewing the eclipse. Special eclipse glasses or other eclipse viewing devices are recommended. And in case you were hoping for a musical flashback with Gloria, here you go.